Massive stars has been many times claimed as Cosmic Engines and Gifts of Nature for the study of the Universe, from the Solar neighbourhood to the large-z Universe. The complete understanding of the physical properties and evolution of massive stars (and their interplay with the ISM) is crucial for many fields of Astrophysics and, ultimately, to understand the evolution of the Cosmos. 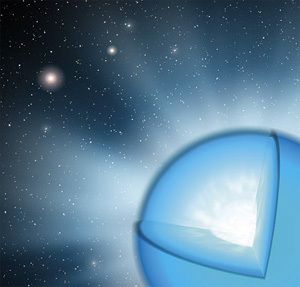 In spite of the remarkable avances in the modelling and spectroscopic analysis techniques of these stars occurred in the last two decades, our knowledge of these important (but complex) astrophysical objects has been, until very recently, limited to conclusions extracted from the analysis of single-epoch medium resolution spectroscopic observations of relatively small samples. This situation is slowly but surely changing with the compilation and analysis of large spectroscopic surveys of OB stars in the Milky Way and other external galaxies. (3) to provide an unique ground-based spectroscopic database supporting/complementing the future Gaia database.